What can we grill? EVERYTHING! From the best-selling authors of Mastering the Grill, comes the first grill book focused on ingredients. Fire It Up shows today's cooks how to buy, prepare, and grill more than 290 ingredients from beef and pork to chicken, fish, vegetables, fruit, and more. Handy charts explain different cuts, best grilling methods, and perfect doneness. Insider Know-How and Keep It Simple tips solve dozens of dinnertime dilemmas. Gorgeous color photos and useful illustrations bring it all to life. With more than 400 delicious recipes and 160 winning rubs, brines, marinades, and sauces, Fire It Up makes it easy for everyone to become a backyard grill master—no matter what's on the menu. 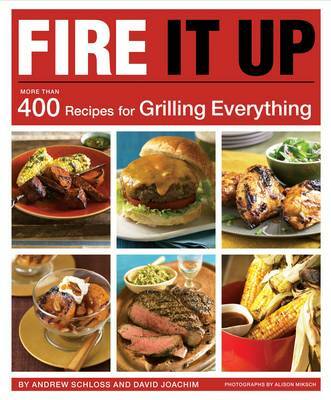 Jam packed with recipes, tips, and illustrations, and at only $24.95, Fire It Up is THE grill book for this summer.